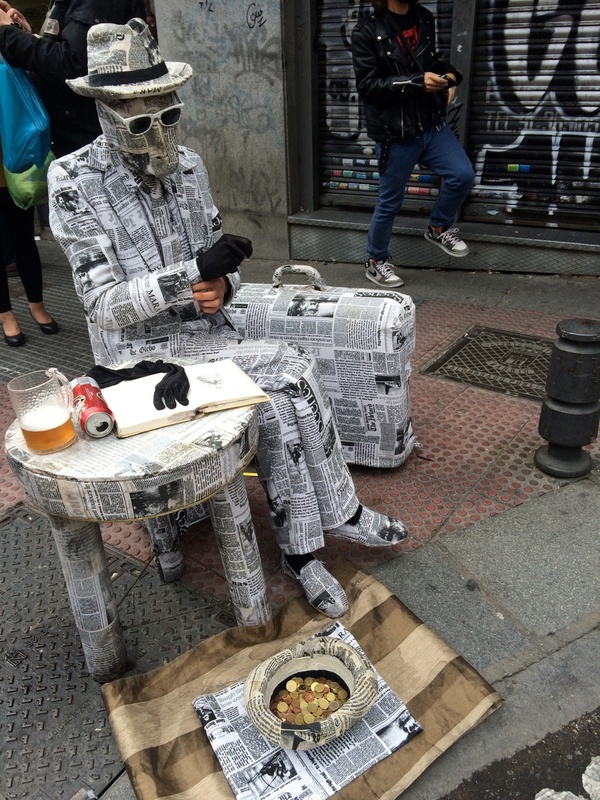 The concierge at our hotel told us that there are a few great markets in Madrid on Sundays. 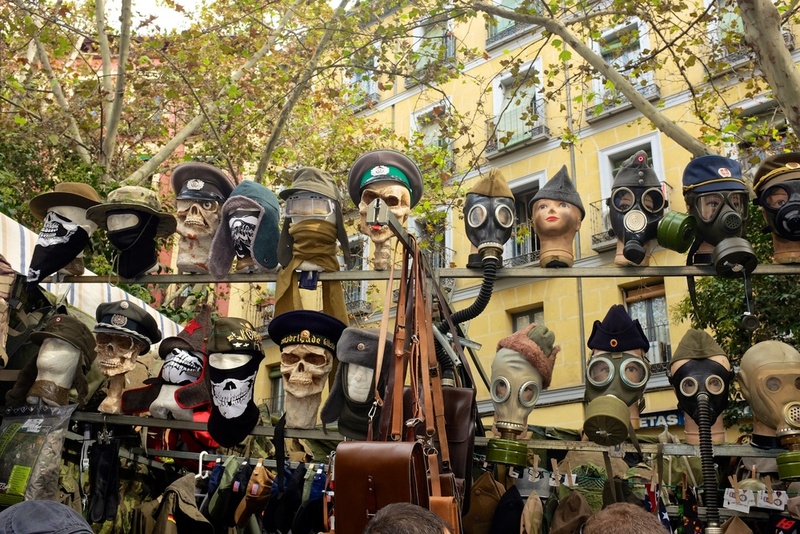 I love street markets, and I was so glad that we were not leaving Madrid until Tuesday! 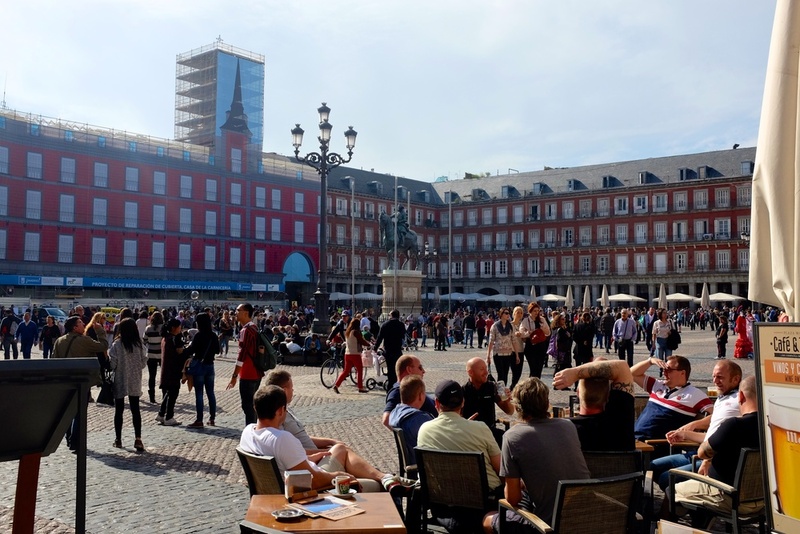 Sunday morning, we set out to see one of the largest (the largest as proclaimed by our hotel concierge) street markets in Madrid, at La Latina. 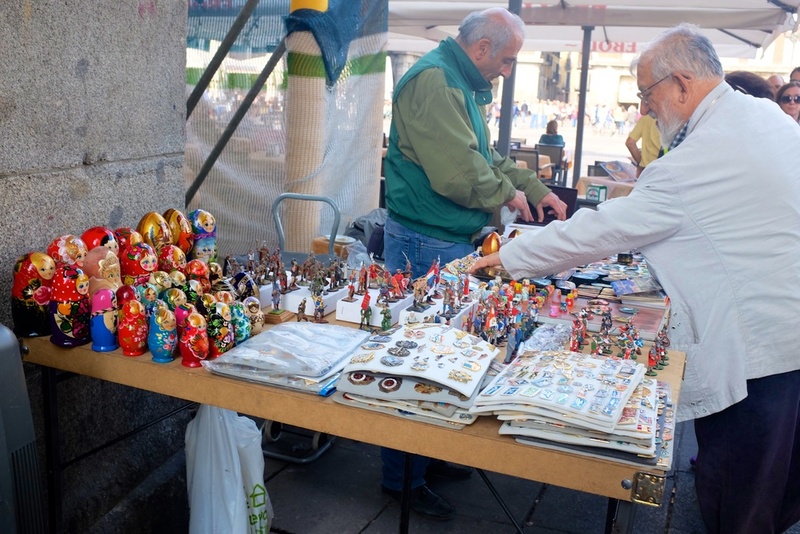 On our way, we enjoyed seeing a small collectors' street market at Plaza Mayor, which had everything from bottle caps, to Russian dolls, to stamps, to coins, and more! A short walk later, we arrived at the La Latina Street Market! Wow! This definitely was the largest and busiest street market we have ever been to. It was unending. and it was extremely crowded. Check out the video below to take a walk with us through parts of this amazing market! In case you are not able to see the video (poor internet connection, or reading our post on your phone at work ;), whatever the reason), here are just a few pictures from the market. And, just in case you haven't had enough or couldn't quite grasp how crowded it really was, here is a time lapse to show the crowds milling about. I did end up buying two adorable earrings for myself and Hannah :) I couldn't help it. 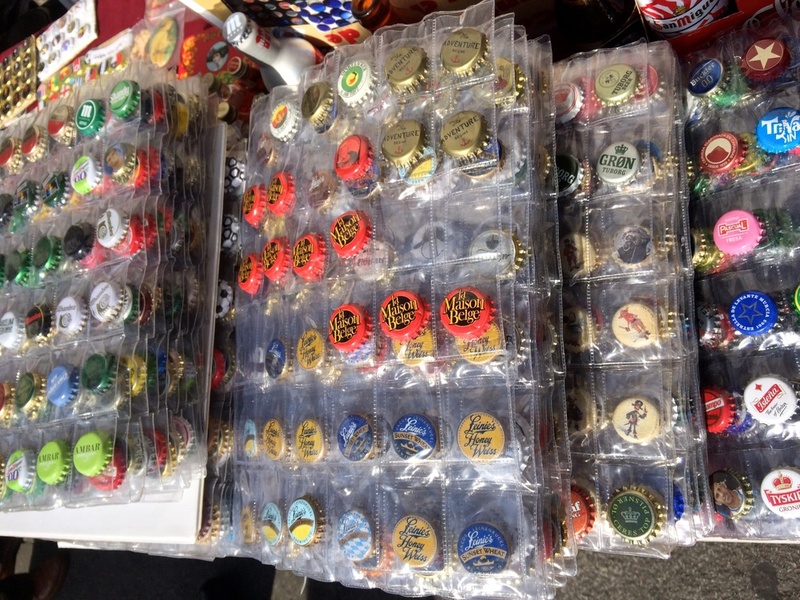 Street markets are my weakness! After the unending street market, we ate a great and healthy meal at a vegetarian restaurant called El Garnero de Lavapies. The place got completely packed shortly after we arrived, usually a good sign, and we all enjoyed our vegetarian meals (though after some faces from the kids). At El Retiro, we got a real taste of Fall. The temperatures were a bit chillier, it was cloudy, and the trees had started changing color with lots of leaves on the ground. The park is absolutely beautiful, especially in Fall. By the time we persuaded the kids to leave the playground, it was getting dark, so we only looked at the lake as we left the park and headed towards a restaurant we had in mind for dinner. 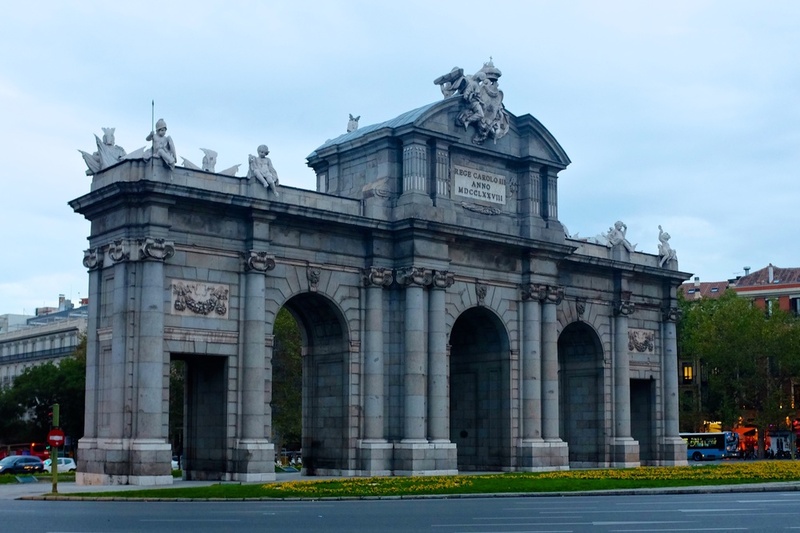 On our way, we were able to see Puerta de Alcala, Plaza de Cibeles, and the Metropolis building. All beautiful and historic landmarks. We were very awed by the lit up building at Plaza de Cibeles, which we found out later is home to Madrid's city hall today. It was on the early side for Spanish dining, so we pretty much had the place to ourselves. 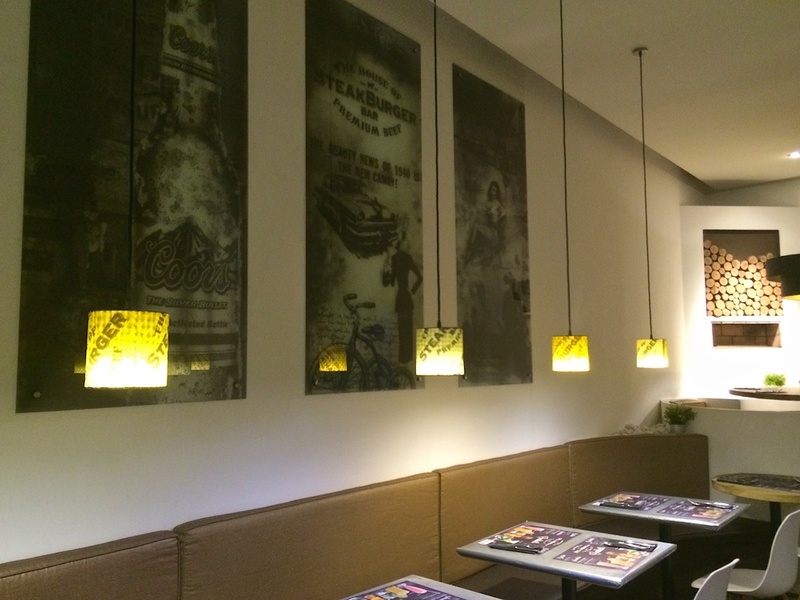 We really enjoyed the ambience inside and the food was very delicious. I can't judge whether or not they are the best in the city, because this was the one and only burger I ate there, but I can assure you that it hit the spot! "Life is simple. Open your mind, arms, and heart to new things....Life is short. Live your dream and wear your passion."